RESEARCH INTERESTS & ACTIVITIES: Dr. Temkin-Greener's research is focused in the following areas: 1) Quality of care - developing outcome measures and assessing quality of care in community-based, hospital and long-term care settings; 2) Organizational performance - developing and validating measures of care process, teamwork, and patient safety culture; 3) Aging and Long-term Care - assessing the impact of individual and organizational risk factors on quality of care for vulnerable elderly, including disparities; 4) Palliative and end-of-life care - design, implementation and evaluation of interventions to improve care; 5) Mental illness - understanding access to and quality of care for patients with dementia and other mental health disorders. 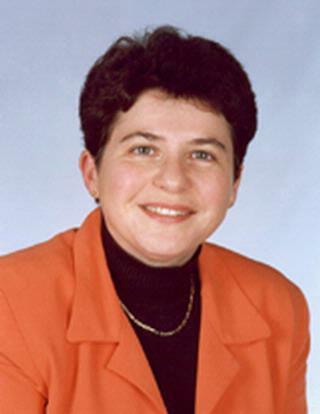 Dr. Temkin-Greener has served as Principal Investigator (PI) on a number of NIH-funded studies, as well as studies and demonstration projects funded by the Centers for Medicare and Medicaid Services (CMS), the John A. Hartford Foundation of New York City, the Robert Wood Johnson Foundation, the Healthy Living Foundation, and others. She has just completed serving as PI on a large intervention study, funded by the Patient Centered Outcomes Research Institute (PCORI), designed to implement and evaluate palliative care teams in nursing homes. Currently she is PI on a study funded by the Donaghue Foundation. She is also a co-investigator on studies funded by the NIH, VA, and the AHRQ. Dr. Temkin-Greener directs the PACE Data Analysis Center (PDAC), which receives data from 120+ PACE organizations nationally. PDAC analyzes the impact of Medicare risk-adjusted payment models as well as focuses on PACE program outcomes. Temkin-Greener, H.; Szydlowski, J.; Intrator, O.; Olsan, T.; Karuza, J.; Cai, X.; Gao, S.; Gillespie, S.M. "Home-Based Primary Care Teams in Veterans Affairs: Perceived Effectiveness." The Gerontologist. 2019; . Cai, S.; Wang, S.; Mukamel, D.B. ; Caprio, T.; Temkin-Greener, H. "Hospital readmissions among SNF patients. Does obesity matter?". JAMDA. 2019; . Temkin-Greener, H.; Cen, X.; Hasselberg, M.; Li, Y. "Preventable hospitalizations among nursing home residents with dementia and behavioral health disorders." JAMDA. 2019; . Chapter Title: Trends in Dependency and Supportive Care Needs Among Older People. Author List: Williams FT and Temkin-Greener H.
Author List: Temkin-Greener H and Kunitz SJ. Author List: Kunitz SJ and Temkin-Greener H.